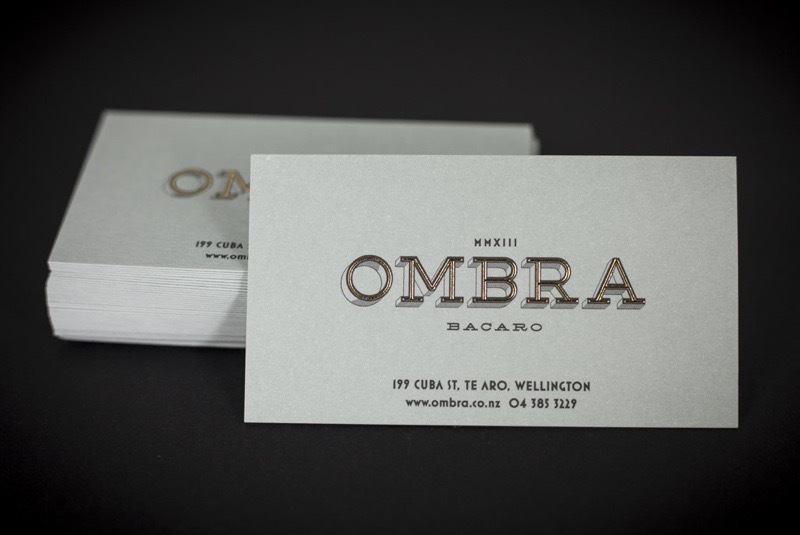 When Wellington's iconic Venetian bar and restaurant Ombra changed ownership in early 2018, Gary at the Gas Project was commissioned to re-brand the business. 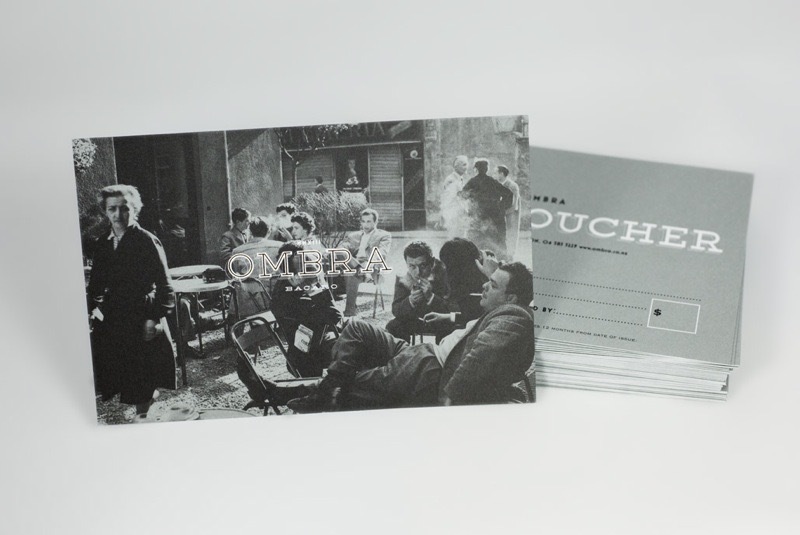 When Ombra needed a printer, our name was put forward and the first two jobs off the ranks were a set of business cards and vouchers. Both printed onto a premium 320gsm board, then gold foiled.